Regular road and rail travellers will know the pain of the daily commute and rue the wasted hours spent sitting in traffic and battling the crowds on public transport. Atlas Helicopters, the corporate helicopter charter specialists, are flying to the rescue of commuters and travelling business persons with a cost-effective and convenient helicopter charter service offering bespoke helicopter flights throughout the UK from the South of England. With operational bases in London and the South Coast and a fleet of four AS355 Twin Squirrels and 1 x Bell 206 LongRanger helicopters on standby, Atlas Helicopters’ helicopter charter & helicopter hire service is a fast, efficient and convenient way to arrive at important business meetings with time to spare. Used by clients needing to make regular trips to London as well as by businesses faced with the hassle of arranging last minute travel for unexpected meetings and events, each helicopter is comfortably equipped for last minute work en-route. A typical flight from Portsmouth to London takes just 30 minutes while travellers from Redhill can expect to be in London in just 10 minutes. 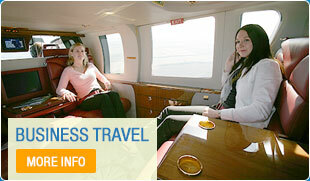 Return helicopter flights are just as quick with dedicated arrival and departure staff to speed up the whole process. Even last minute meetings can be accommodated thanks to the Atlas Advantage programme which sees corporations pre-book flying hours via a unique membership scheme for use at any point throughout the year. This convenience is much like that of booking a car and driver or reserving a train ticket, putting helicopter charter and helicopter hire within easy reach for even the smallest of companies wishing to transport their executives efficiently from A to B. To find out more about Atlas Helicopters helicopter charter service or the Atlas Advantage programme, visit www.atlashelicopters.co.uk or call 01256 635000.